With the holiday season in full force, Eastridge Workforce Solutions has been dedicated to giving back, specifically through actions of charitable giving. The Eastridge team is helping spread the holiday spirit in its offices located in San Diego, Newport Beach, Cerritos, and Las Vegas. To kick off this year's season of holiday giving, Eastridge's Mission Valley office chose to partner with Second Chance for its annual holiday gift drive. Second Chance is a local organization whose mission it is to create opportunities for people to transform their own lives through programs that provide job readiness and life skills training. 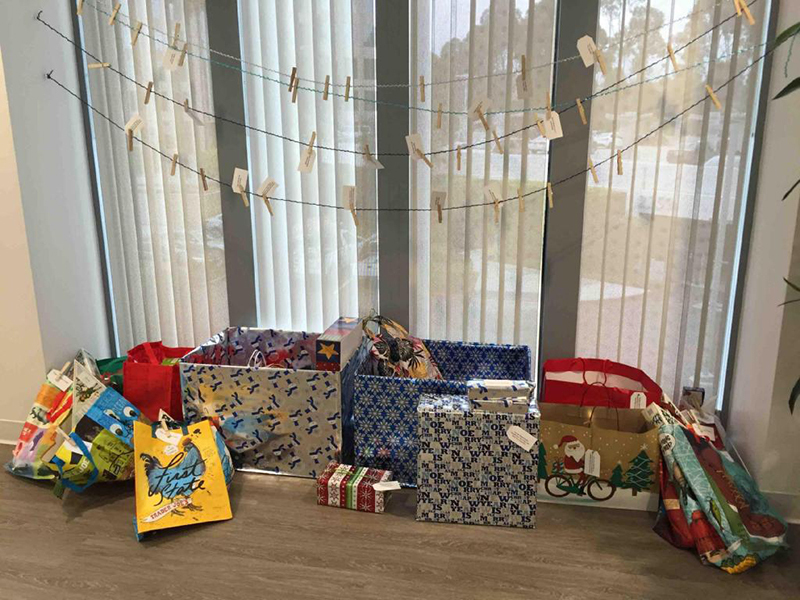 Beginning December 1st, employees at Eastridge's Mission Valley office participated in the company's annual holiday gift drive to help fulfill wish lists for youth in need. Employees chose individual gift tags labeled with specific gift items to purchase. Knowing that their donations to Second Chance would be used to benefit youth in transitional housing, employees were excited to give gifts and help others celebrate the upcoming holidays. Eastridge's Mission Valley office fulfilling wish lists for youth for the company's annual holiday gift drive. This holiday season, Eastridge's Orange County offices partnered with The Salvation Army, specifically through its Adopt-A-Family holiday program. Designed to assist families who are in crisis as a result of unemployment, medical issues, and other difficult circumstances, the holiday program provides help to families who otherwise wouldn't have the resources to celebrate the holidays. Provided with the opportunity to give holiday assistance to families who are at a critical time in their lives, Eastridge employees were quick to adopt a total of four families between its Newport Beach and Cerritos offices. Eastridge employees were excited to shift gears from traditional "Secret Santa" gift exchanges between coworkers to participating in The Salvation Army's holiday program. Displaying the true meaning of giving this holiday season, employees at Eastridge's Newport Beach and Cerritos offices chose individual family members to purchase gifts for. Adopting families with anywhere from 2 to 12 members with children aged 8 months to 18, Eastridge employees were able to get into the spirit of giving in a tremendous way. 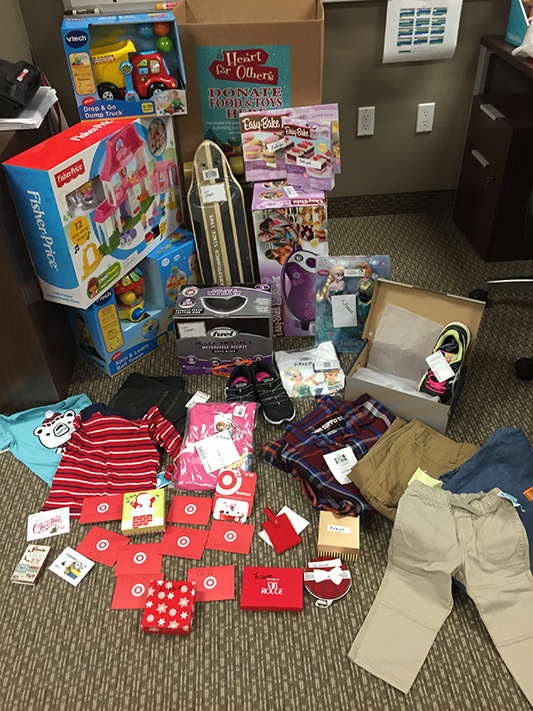 Eastridge's Newport Beach and Cerritos offices giving gifts to their adopted families. 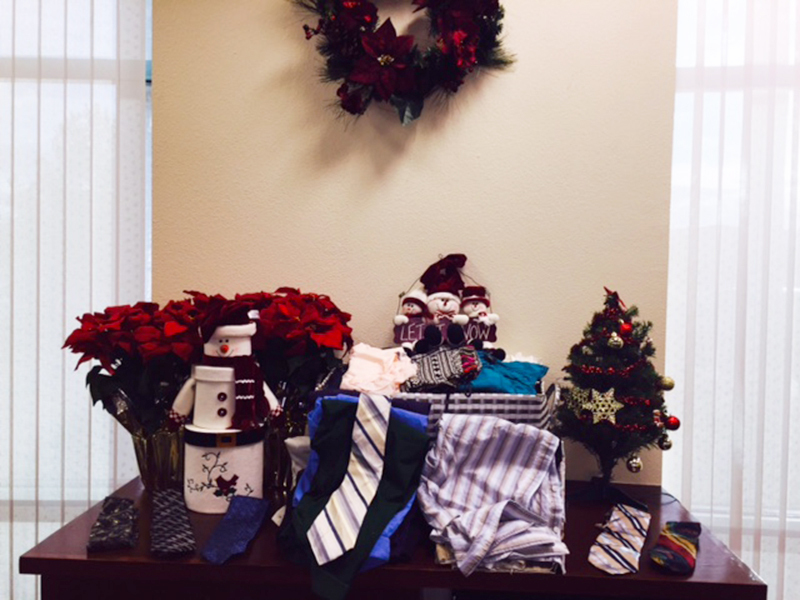 The spirit of giving is contagious in Eastridge's Las Vegas office as employees are participating in a clothing drive to provide professional clothing for both high school students and senior citizens to wear for interviews. Junior League of Las Vegas' Elevate Career Fair is a career and employment fair combined with workshops for interviewing skills and resume writing to help individuals enter the workforce. Employees at Eastridge's Las Vegas office were eager to learn the overarching purpose of the clothing drive falls in line with Eastridge's purpose-to provide opportunity and enrichment through work. Open through the new year, the clothing drive is set to help individuals make a lasting first impression at their interviews and get them one step closer to joining today's labor force. This holiday season, Eastridge's Las Vegas office is providing professional clothing for high school students and senior citizens to wear for interviews. Eastridge Workforce Solutions has been getting into the holiday spirit. From partnering with organizations like Second Chance this holiday season to donating $25,000 to the Challenged Athletes Foundation (CAF), its charitable partner for 2016, at its annual conference, the company is determined to continue giving back both nationally and locally. Eastridge is excited to ring in the new year and continue the spirit of giving beyond just the holiday season. Eastridge Workforce Solutions presenting a $25,000 donation to the Challenged Athletes Foundation.